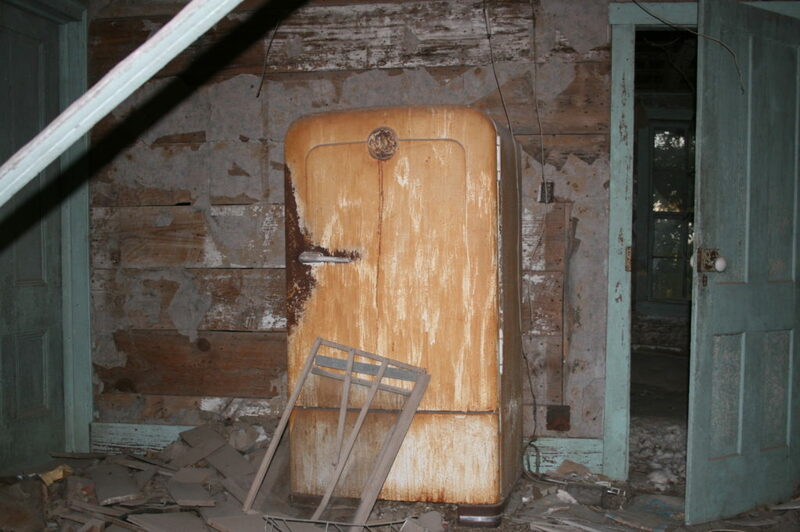 It’s weird to me that we live in a time when houses or hotels can be left to rot with possessions and appliances and no one seems to mind. 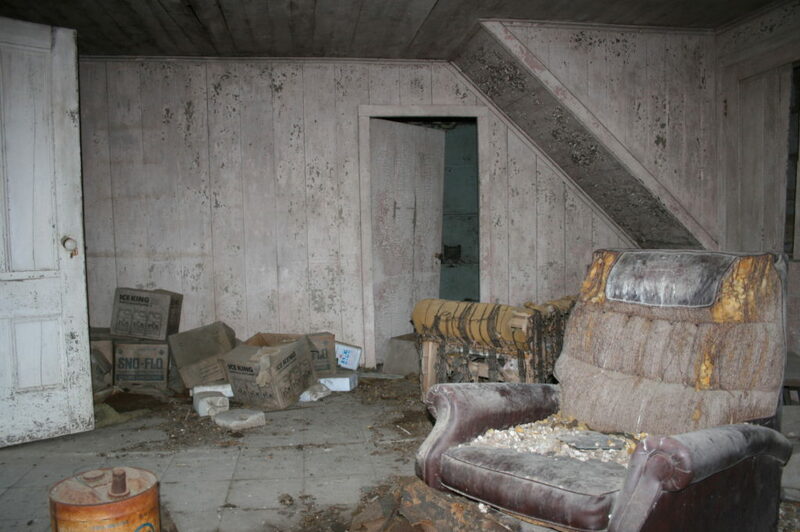 This house was, and presumably still is, full of furnishings, clothes, books, lamps and so on. It was too dangerous to venture inside but had I been able to I’m sure I would have found even more intimate items, like family photos. The front of the house faced the east, so this is a view into the house from a northern window. 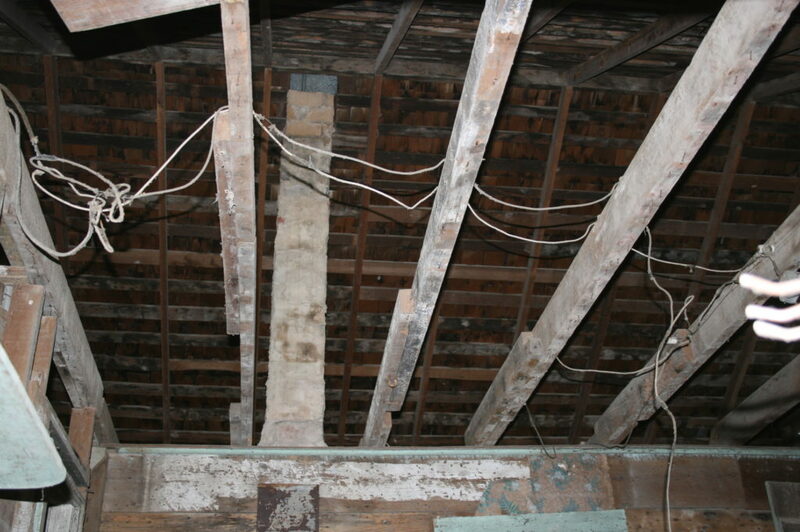 Looks like this is the kitchen, and the floor above collapsed, bringing down a lot of books with it. 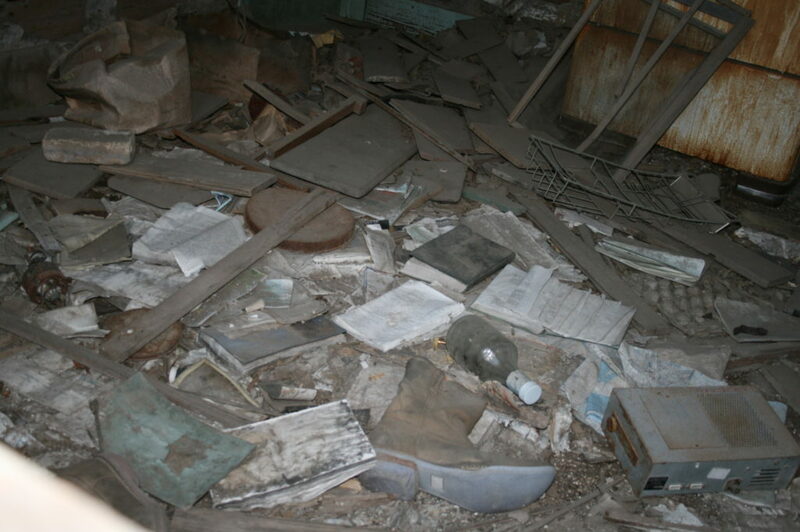 Closer look at the debris on the floor in the kitchen. Books, liquor bottle and a lone cowboy boot. Welcome to Texas. Some dudes on an “abandoned buildings” site tried to give me grief for not going inside until I showed them this shot of the second floor. The antimacassar on the back of that leather chair kills me. Someone once loved and took care of that chair. Now it’s like a umbrella in a sewer. Kind of creepy but far creepier when you know neither of us touched that window to leave those finger swipes. 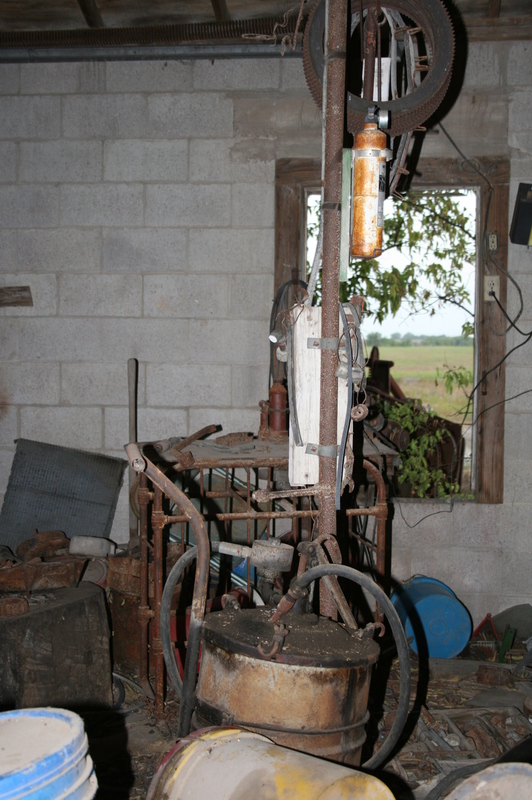 The outbuildings behind the house held a lot of interesting items. No idea what this even is but it seems like there is probably an antique shop out there somewhere that would be very interested in this. 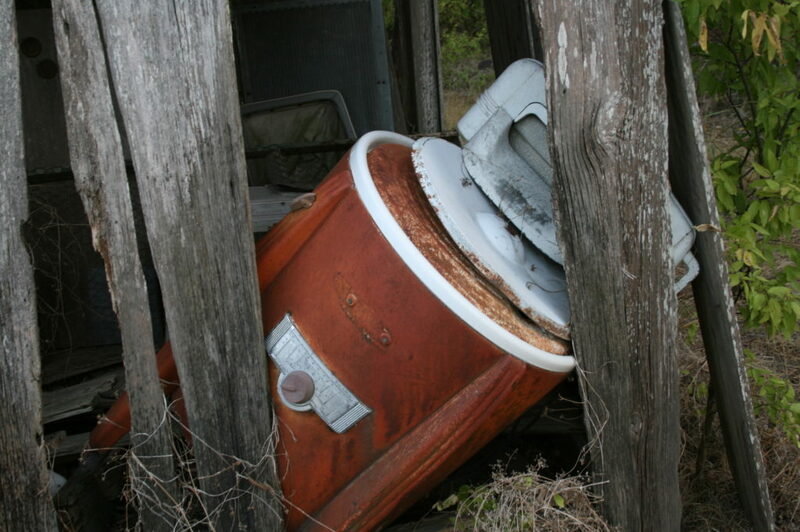 Same with this old washing machine. Surely there is a folksy store in a tourist town that could fill this with ice and serve bottled beer out of it. There was some dog-like creature hanging out around this tractor and ran the moment we tried to photograph it. Probably a small coyote. 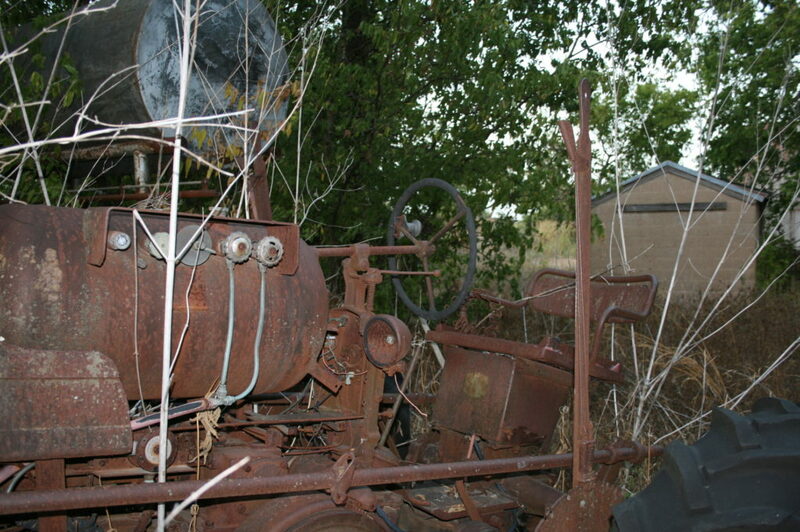 I was more interested in the creature than the tractor but Mr. OTC was pretty appalled to see this rusting into dust. 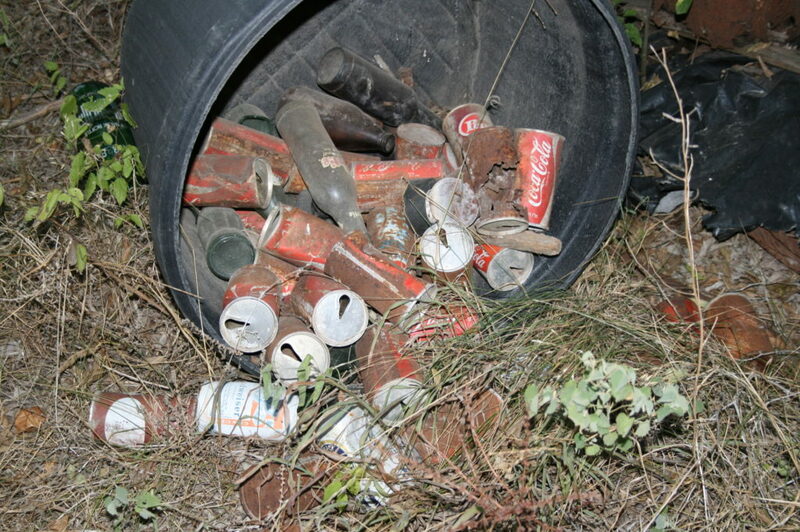 These cans point to this land not being picked up in around thirty years or more. I can’t even remember back when sodas didn’t have pull tabs that attached to the cans. 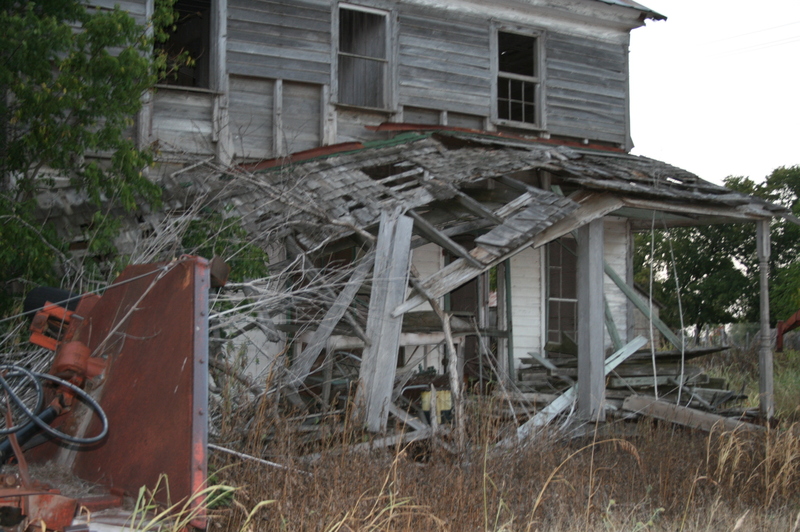 Side view of the porch, complete with overturned trailer. 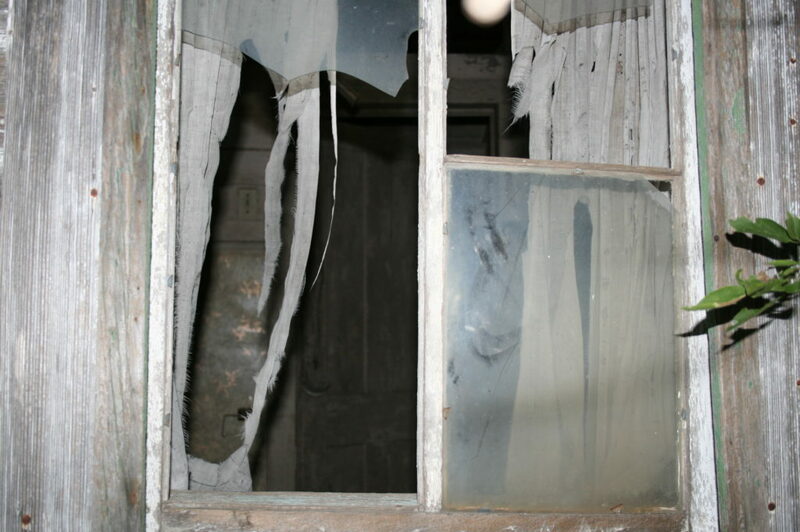 Abandoned places can be very scary – old hospitals are frightening enough when abandoned but they also attract people who are homeless for a variety of reasons, some of which may be due to insanity or terrible addiction. Those kinds of abandoned places are more visceral – you have literal fear about what you may encounter around every corner. Abandoned houses like the Shaver hotel in Corn Hill are frightening because they are a symbol of death, as full of death as any cemetery. 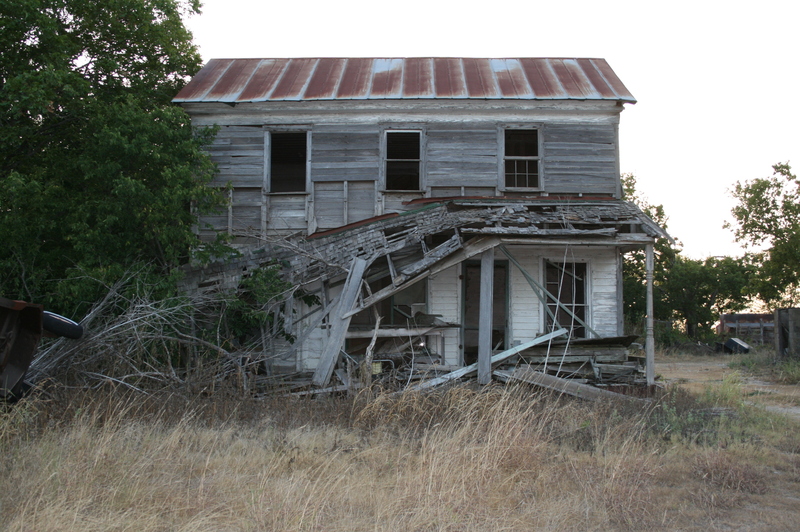 This house shows care for the interior, lots of farming and domestic industry, and it’s all… been left there. To rot. 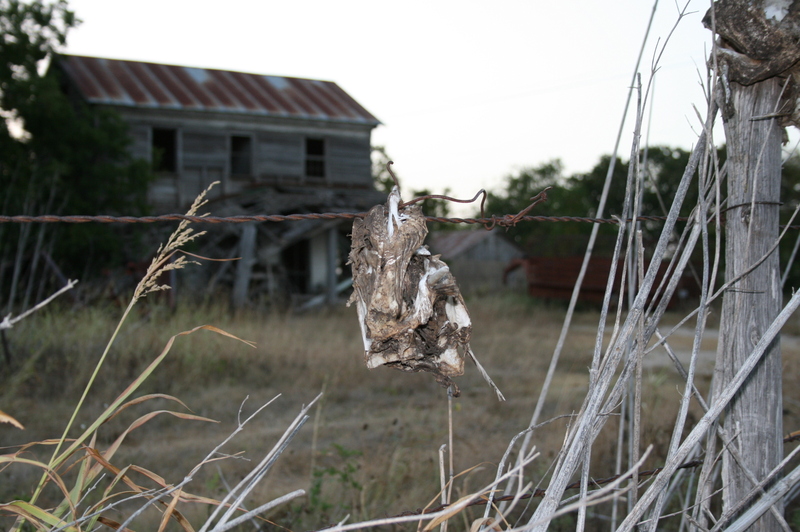 The most use anyone gets out of this home is to skin their daily catch on the barbed wire that’s supposed to keep people like me from going in there and poking around. It makes me look at my books, my carefully selected pieces of art, even the ugly curtains in the TV room, and realize that in about forty years someone will be wondering if someone somewhere, even maybe a kitschy resale store, would have any use for the things I have amassed, the items that define my life. 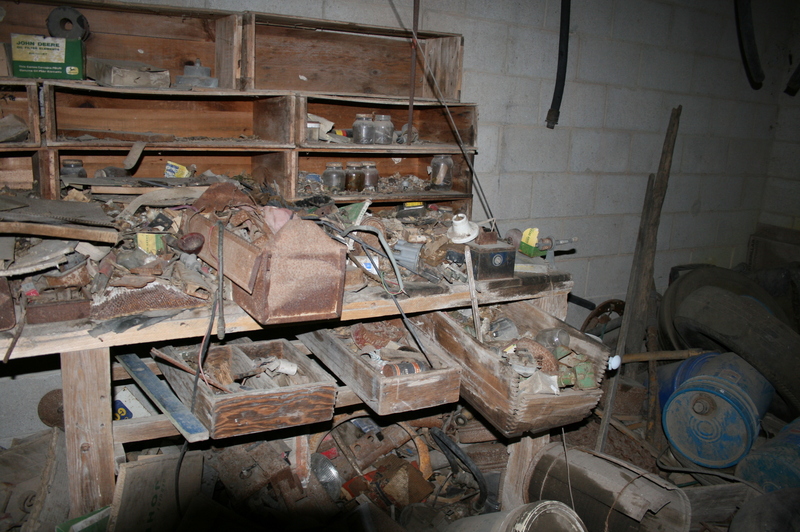 You can see all the photos from our visit to this house on my Flickr account.